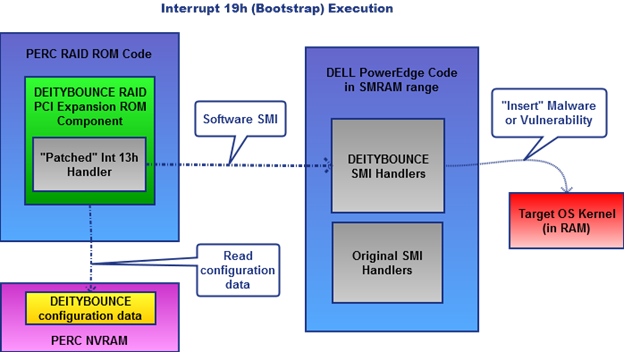 DEITYBOUNCE operates as part of the system shown in Figure 1. 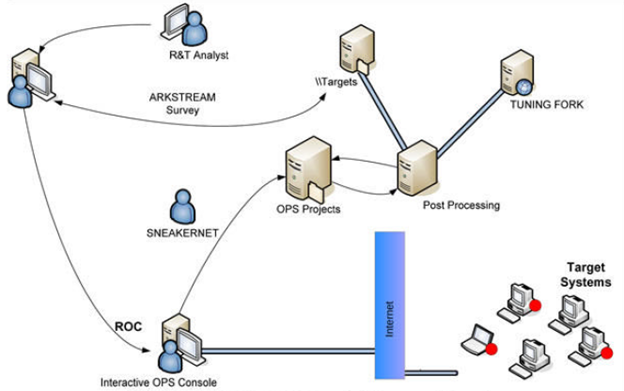 Figure 1 shows several peculiar terms, such as ROC, SNEAKERNET, etc. Some of these terms are internally used by NSA. ROC is an abbreviation for remote operation center. ROC acts as NSA’s point of control of the target system; it’s located outside NSA’s headquarter. SNEAKERNET is a fabulous term for physical delivery of data, i.e., using humans to move data between computers by moving removable media such asmagnetic tape, floppy disks, compact discs, USB flash drives (thumb drives, USB stick), or external hard drives from onecomputer to another. IPL device PCI expansion ROM also has a peculiarity. In some BIOS implementations, it’s always executed, whether or not the IPL device is being used. The reason is that the BIOS code very probably only checks for the PCI device subclass code and interface code in its PCI configuration register. 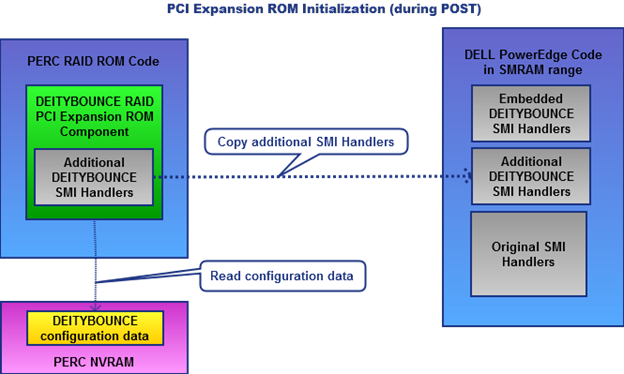 See the “PCI PnP Expansion ROM Peculiarity” section athttps://sites.google.com/site/pinczakko/low-cost-embedded-x86-teaching-tool-2#pci_pnp_rom_peculiarity. The third item of background knowledge needed to understand DEITYBOUNCE is SMM. A seminal work on SMM malware can be found in the Phrack ezine article, A Real SMM Rootkit: Reversing and Hooking BIOS SMI Handlers athttp://www.phrack.com/issues.html?issue=66&id=11#article. SMI, in this context, means system management interrupt. The Phrack article contains knowledge required to understand how an SMM rootkit might work.